Written by veronictravel on May 17, 2018 . Posted in Destinations-en, Europe. 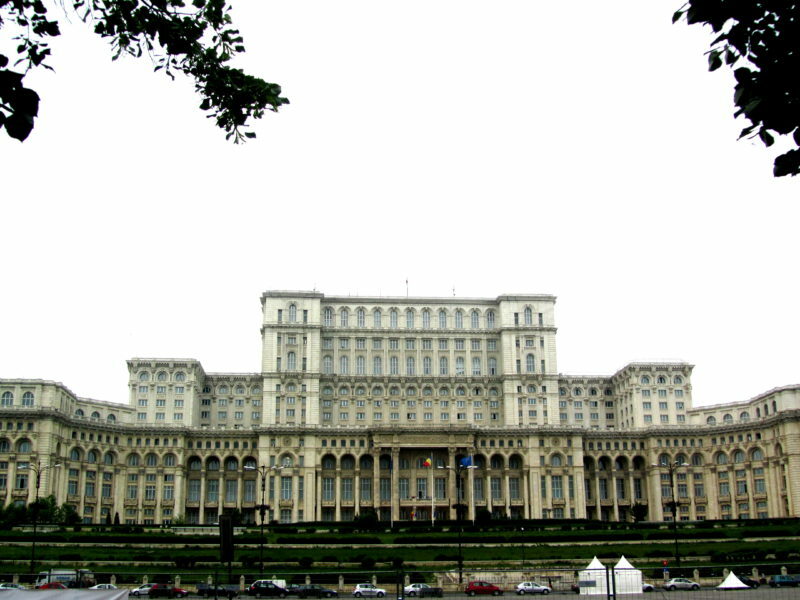 With its peaceful nature, typical villages, local markets and welcoming people, Romania is a fascinating country that has maintained its authenticity. Lodging is comfortable whether you stay in boutique hotels or hostels where you can share the local cuisine with the inhabitants. 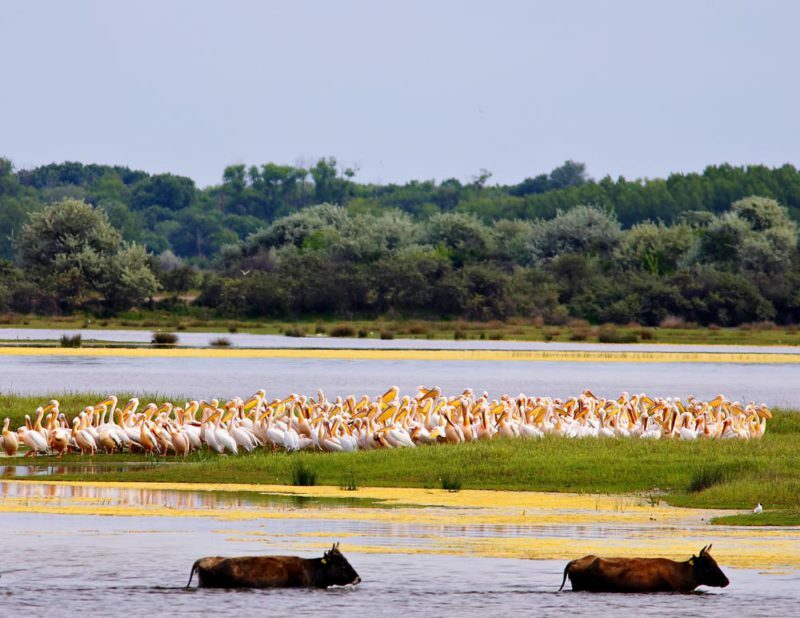 Travel to Romania for its hidden gems from the Bucovina’s Painted Monasteries, placed on UNESCO’s World Heritage List, to the wilderness of the Danube Delta for its untouched natural beauty to the Carpathian Mountains in the region of “Maramures”– known for its occult wooden churches. 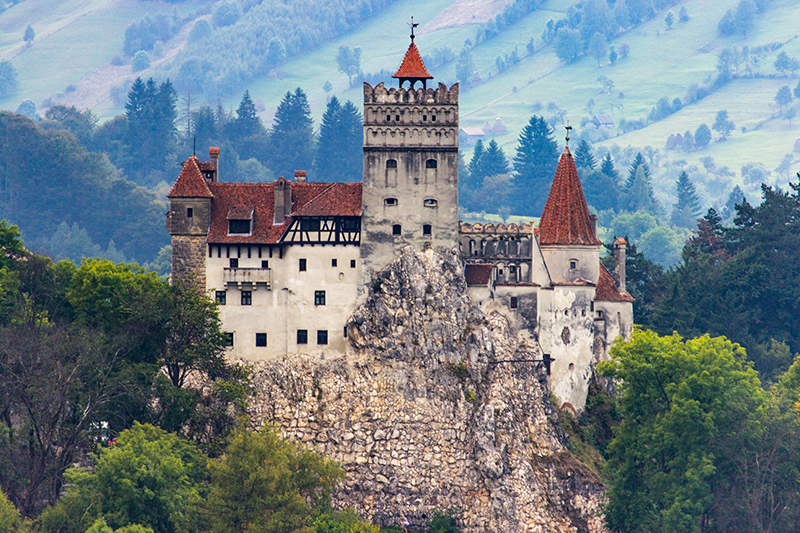 From the tree-lined boulevards of Bucharest to the stunning castles of Transylvania traveling through Romania is bound to be an unforgettable experience. 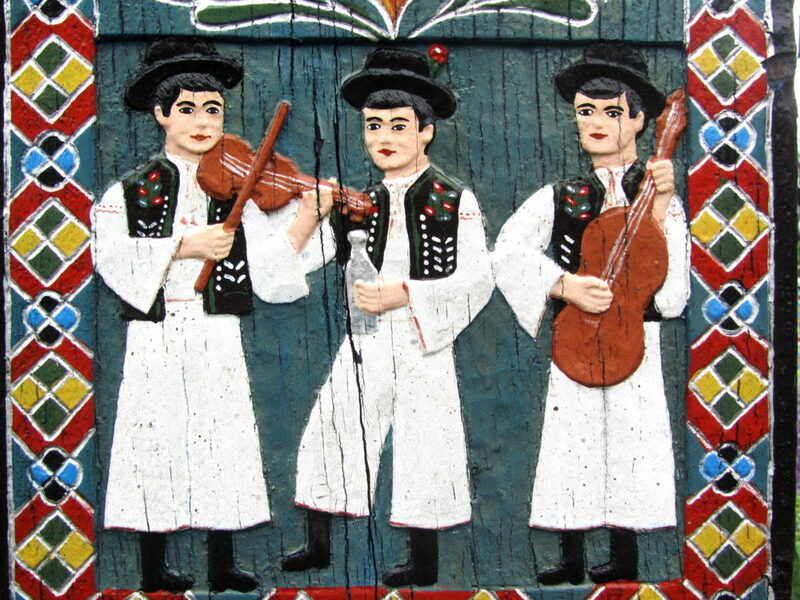 From the Black Sea to the Carpathian Mountains, Romania is a country that boasts a varied landscape. With its rich culture and history, enjoy a ten-day tour to explore this still authentic country with its welcoming and warm people. From the rolling hills of Bucovina in the North East where you will visit the famed beautiful painted monasteries, to the wilderness of the delta of the Danube River, to the Maramures region and the typical wooden churches of the Carpathian Mountains, to the Medieval Transylvanian region and to Bucharest, without forgetting “Dracula’s Castle,” you will get a sense of local life, the rich history of this country and the spectacular landscapes. 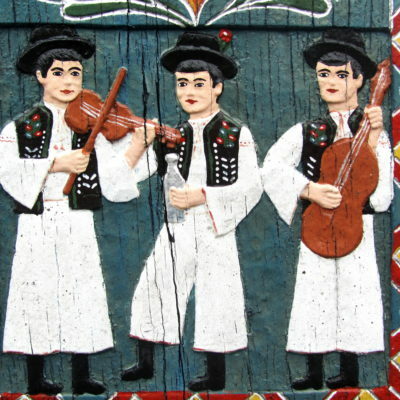 Nestled in the rolling hills of northern Moldova is the region of Bucovina, home to one of the world’s greatest art treasures: the UNESCO World heritage sites of the Painted Monasteries of Bucovina. Built in the 15th and 16th centuries and featuring colorful exterior frescoes depicting dramatic religious scenes, these richly decorated monasteries of worships are unique in the world. 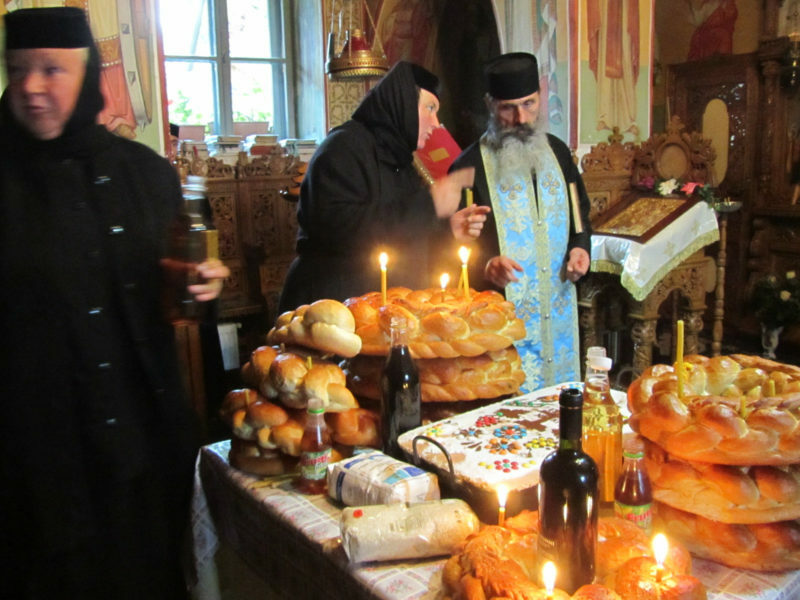 Romanian Christian Orthodox religion is generally practiced still today with great festive gusto in the Bucovina monasteries. 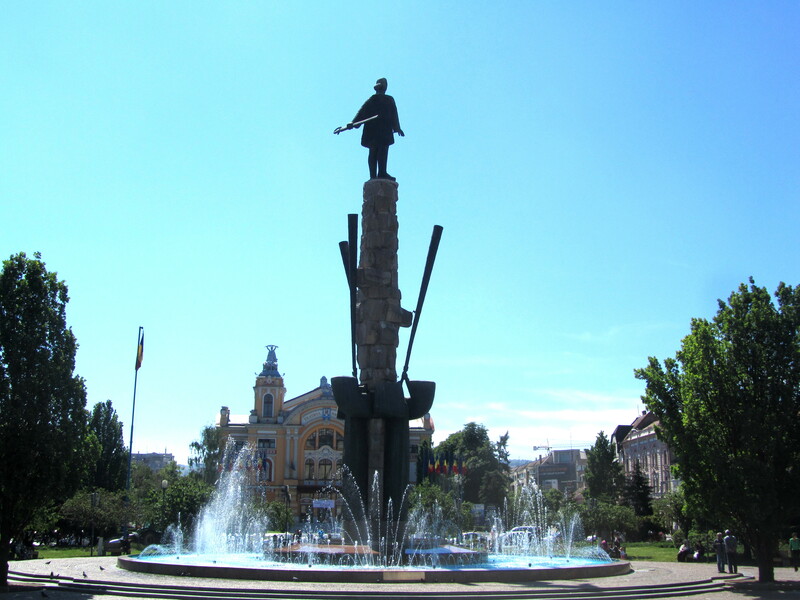 The unofficial capital of the Transylvanian Region, the town Cluj-Napoca is home to many universities and a vibrant night life. It’s also home to many vestiges dating back to Saxon and Hungarian rule including the Gothic-style St. Michael’s Church and the dramatic Matthias Corvinus Statue of the 15th-century king. 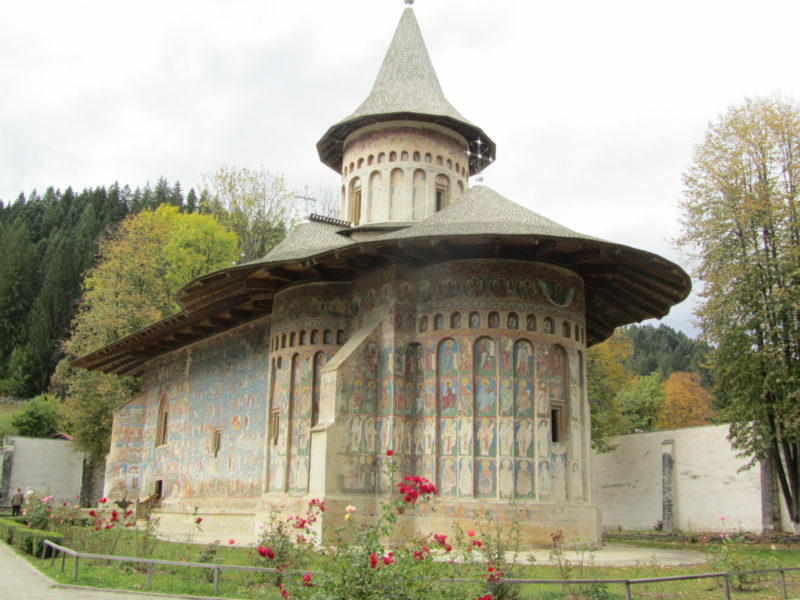 Up in the North in the Carpathian Mountains, explore the “Maramures,” a region known for small wooden hidden churches hidden in villages. 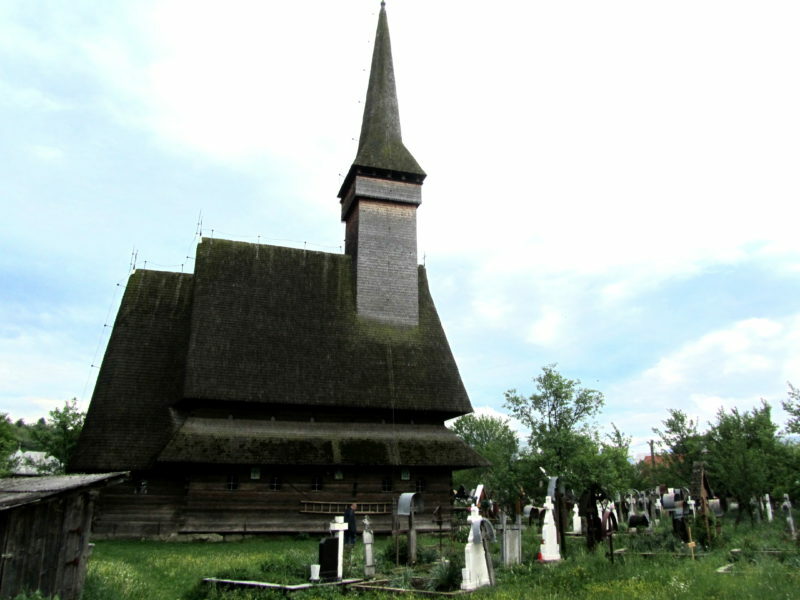 To the extreme north of the “Maramures” county likes Sapânta, a village famous of the world’s most unique cemetery. 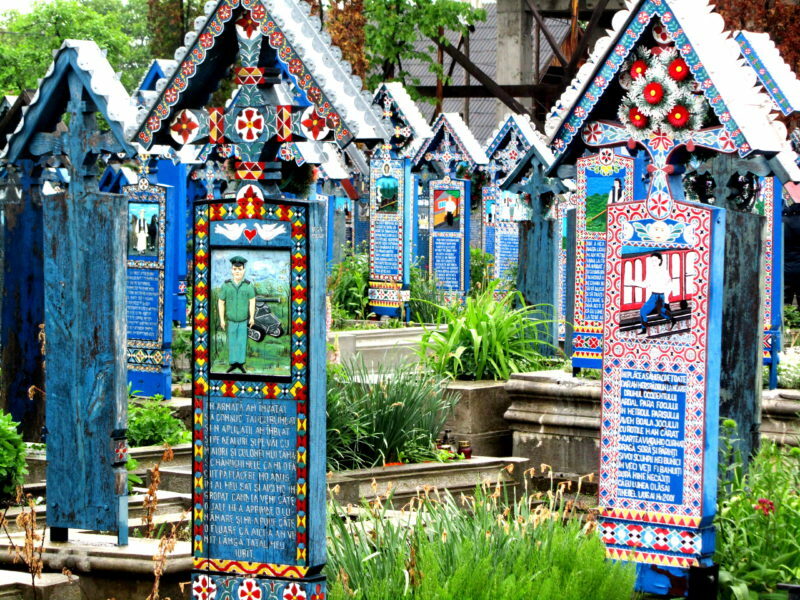 In this cemetary, you will find wooden crosses painted over with striking colors with a painting of the dead’s personal trait and the circumstances of their death. Mostly the work of art of a local village sculpture who died in 1977, this original cemetary is a whole new take on death and worth the visit. 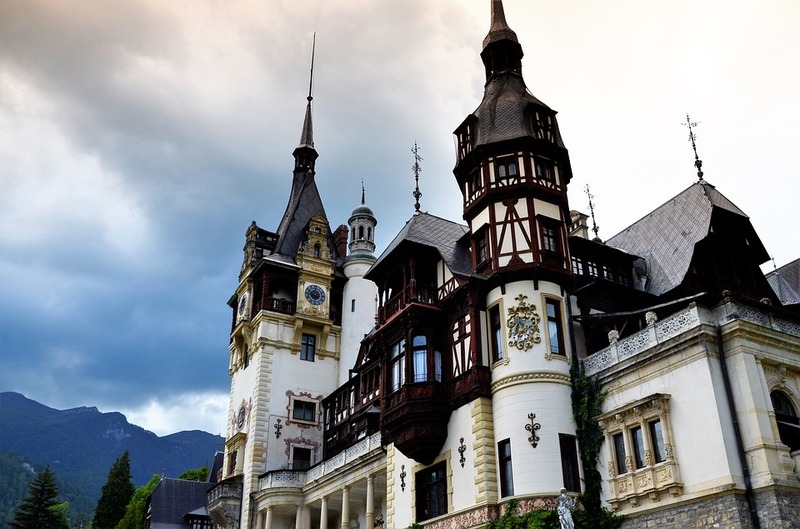 A UNESCO Site and the Saxon fortified church of Prejmer, Peles Castle was the home to the ancient ruling family of Romania in the Carpathian Mountains. 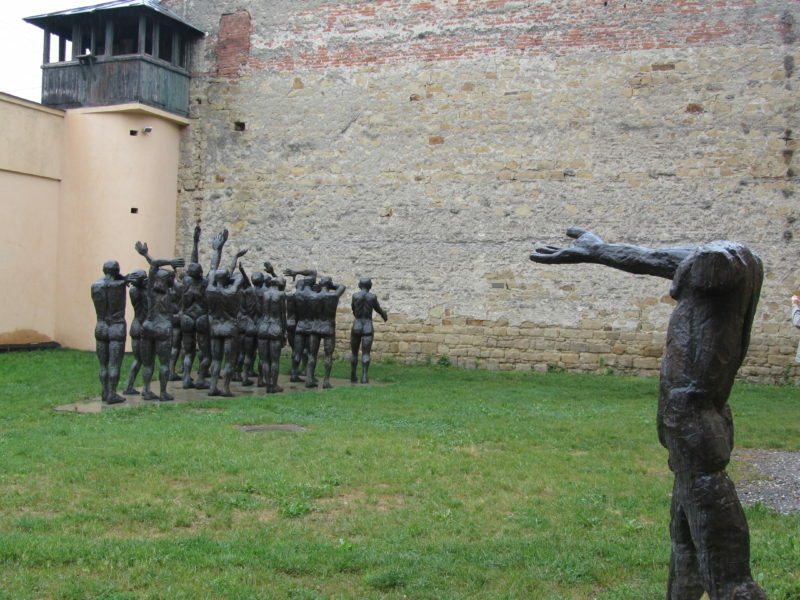 Take in some more recent and heavy history by visiting the SIGHET Museum housed in an old prison used for housing dissidents, intellectuals, and anyone considered anti communist.